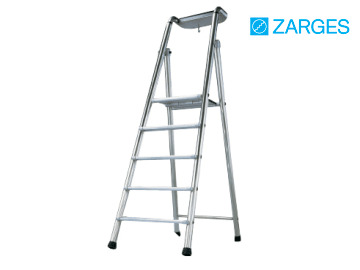 The Zarges Probat Platform Step is a very strong stepladder, ideal for tough environments. 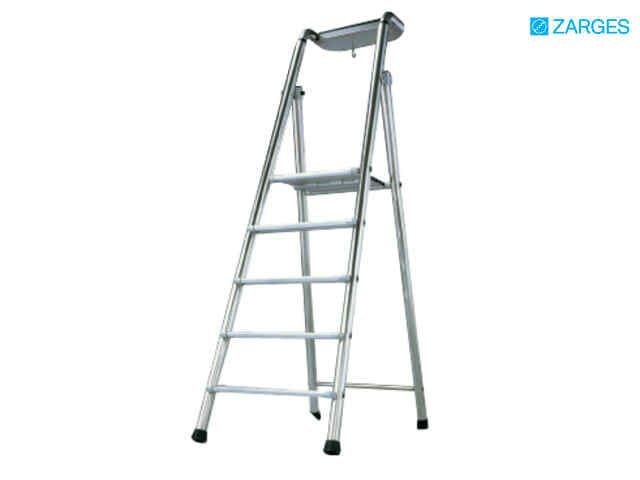 The ladder has large serrated treads, which are 100mm deep for more comfortable working. It has a patented, extra-large 390mm x 380mm folding platform and 50mm diameter non-slip safety feet. 50mm diameter stile tubing on front and rear sections ensures excellent strength. Includes integral bucket hook and knee rail/ tool tray 700mm above the platform. Conforms to EN 131 standards, 150 Kilo rating.